We have started a monthly bird photography contest on our website http://nuttybirder.com/. To enter the contest you have to enter your photos into the group pool at http://www.flickr.com/groups/nuttybirder/. Photos of birds, birders, and good birding areas are welcome. We will choose the top three to be displayed on the photography page of nuttybirder.com. Credit along with a link to the photographers webpage will be displayed below the photo. If you do not have an account on flickr.com you will have to sign up for an account which is free of charge. 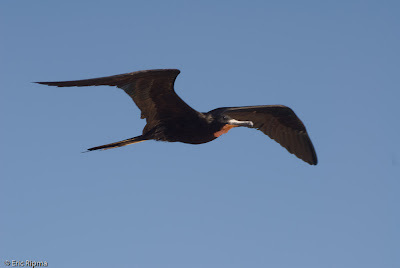 This is a Magnificent Frigatebird that came soaring right overhead while I was in the Keys.